SPOKANE, Wash. (AP) — The state of Washington said Tuesday it opposes a federal proposal to reclassify as less dangerous some radioactive waste on a site in the state that contains the nation’s largest supply because it fears much of the waste will be left in the ground. “This is 2018. We shouldn’t still be contaminating people with plutonium,” said a worker at the Hanford site in eastern Washington. On Dec. 13, 2017, after the gear on half a dozen employees had tested “hot,” labor unions refused to keep working, and demolition ground to a halt. It was the beginning of one of the worst contamination events at Hanford, a sprawling site that once produced the plutonium for the bomb dropped on Nagasaki and whose cleanup will take most of this century. Japan’s Toshiba Corporation is to withdraw from the project to construct two of its advanced boiling water reactors (ABWRs) as units 3 and 4 of the South Texas Project (STP) in the USA. The company said the project, which has failed to find investors, is no longer financially viable. Toshiba – through its US-based wholly-owned subsidiary Toshiba America Nuclear Energy Corporation (TANE) – and US utility NRG Energy founded Nuclear Innovation North America (NINA) in 2008 to promote the use of Toshiba’s ABWR in North America. A combined construction and operating licence (COL) application for two ABWRs at STP, where NRG Energy already operates two pressurised water reactors, had already been submitted to the Nuclear Regulatory Commission (NRC) in 2007. In February 2009, TANE signed an engineering, procurement and construction (EPC) contract with STP Nuclear Operating Company, acting as an agent for NINA, and thereby became the main contractor for STP units 3 and 4. However, in 2011 NRG Energy announced that it would be withdrawing from the project and writing down its USD331 million investment in NINA. Since then, Toshiba has bankrolled the licensing process. 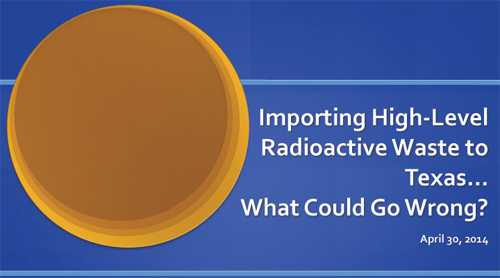 WCS asked the Nuclear Regulatory Commission last year to suspend — temporarily — the review of its high-level waste proposal, citing the cost and its limited financial resources. The company was waiting to see if a deal to sell WCS to EnergySolutions, a well-known industry player, would close. The transaction fizzled after a judge blocked it. 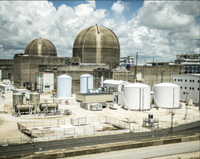 The U.S. Nuclear Regulatory Commission has renewed the license for the South Texas Project. The nuclear power plant provides electricity to San Antonio, Austin and many other area communities. In an order issued on Thursday, the NRC approved the South Texas Project to remain in operation for an additional 20 years. 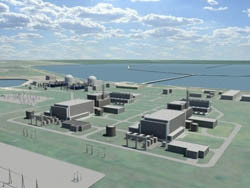 Located just outside of Bay City and managed by the STP Nuclear Operating Co., the nuclear power plant is owned by Houston-based NRG Energy, San Antonio-based CPS Energy and Austin-based Austin Energy. 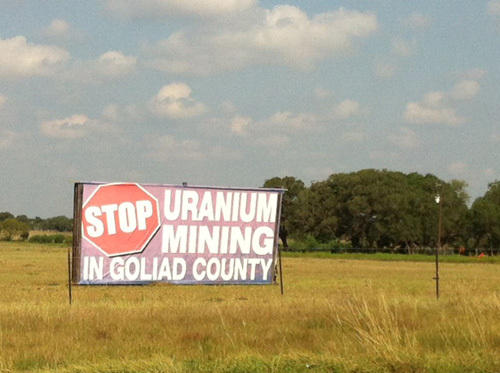 Nuclear power requires Uranium mining, which threatens some Texas communities.